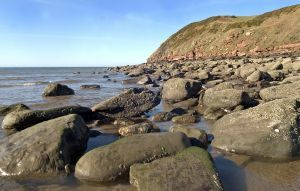 St Bees offers a mile-long sandy beach and boasts one of the best lake district coasts around. The beach won the Seaside award in 2005 thanks to its cleanliness. The sandy beach offers a great location for families to come and enjoy paddling, sandcastle building and other fun activities within the clean beach. The beach has good wheelchair access, toilet facilities and a family orientated atmosphere. An RSPB bird reserve has one of the largest selection of sea birds, and is the only place you will see Black Guillemot birds in England The cliffs overlook the Isle of Man and offer a wide range of Flora and Fauna. The town is full of local shops and has plenty of character with sandstone buildings. St Bees Town is easy to get to with its own railway station, bus services and easy access by car.